A full line of OEM quality, drop-in replacement CO2 laser lenses designed for deeper stock removal in industrial laser wood cutting applications has been introduced by Laser Research Optics of Providence, Rhode Island. Laser Research Optics CO2 Laser Lenses feature 4” focal lengths to provide deeper stock removal from 1/2” to 1-1/2”, depending upon the laser wattage and wood species. 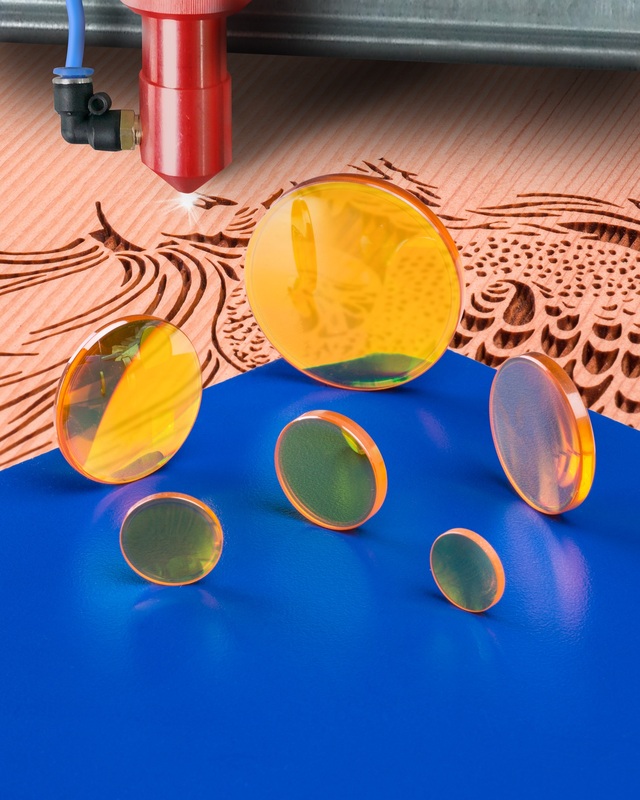 Ideally suited for industrial laser wood engraving, especially plywood, these lenses have 40-20 scratch-dig surface quality, <1/40th wave sphericity, and provide <0.2% total absorption values. Optimized for use @ 10.6 micron in engraving systems where depth-of-field is critical, Laser Research Optics CO2 Laser Lenses meet OEM and ISO-10110 specifications. They are drop-in field replacements for small Epilog®, Kern, Laser Pro Engravers®, Universal®, and Vytek® laser systems.